A report by the Concerned Citizens’ Group following their visit to Srinagar. Kashmir: The Concerned Citizens’ Group (CCG) undertook its fifth visit to Jammu and Kashmir from June 19 to June 23. The group visited the Kashmir Valley during the time. The aim was to assess the change in the ground situation, especially peoples’ sentiments, in the wake of revocation of the unilateral ceasefire (suspension of counter-insurgency operations) by the government during the holy month of Ramzan. 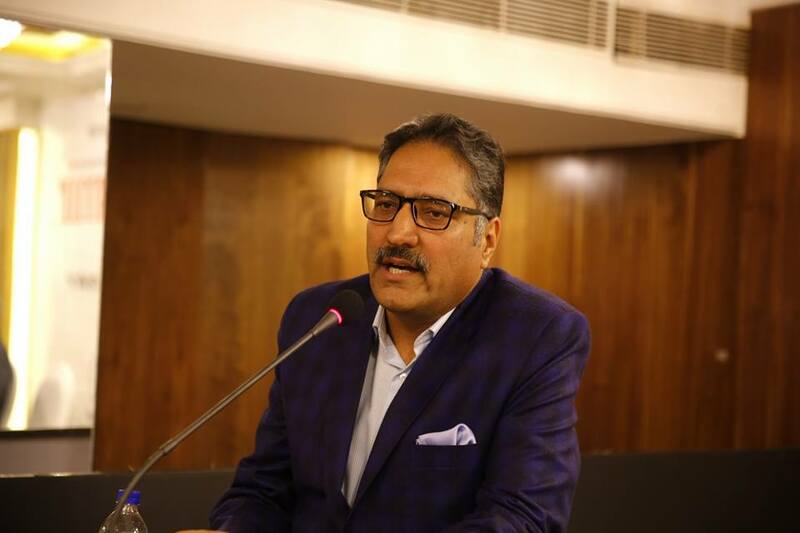 However, two unforeseen developments circumscribed the visit – the assassination of prominent journalist Shujaat Bukhari, editor-in-chief of the Rising Kashmir newspaper and the fall of the alliance government of the Peoples’ Democratic Party (PDP) and the Bharatiya Janata Party (BJP) when the latter withdrew its support. In fact, when the CCG members boarded their flight to Srinagar from Delhi, chief minister Mehbooba Mufti seemed fairly well ensconced. By the time they alighted, she had been forced to tender her resignation. The group travelled to Late Shujaat Bukhari’s village Kreeri in Baramulla district to express condolences to his family members. The visit also coincided with the Kheer Bhawani festival celebrated by Kashmiri Pundits. The group also visited the Kheer Bhawani temple at Tulmul village in Ganderbal district to meet the Hindu minority of the state, especially Kashmiri Pundits, as well as devotees from other parts of India who visit the shrine during Jyeshtha Shukla Ashtami of the Hindu calendar. The Kheer Bhawani Mela took place on June 20 this year. The CCG held interactions in Srinagar with civil society representatives, journalists and political leaders, including outgoing chief minister Mehbooba Mufti, National Conference President Omar Abdullah, Hurriyat leaders Mirwaiz Omar Farooq and Prof Abdul Ghani Bhat. A meeting was also held with public intellectuals and social activists from Sopore, Handwara, Kupwara, Ganderbal and Kulgam who travelled to Srinagar to meet the group. However, the entire exercise was overshadowed by the political developments leading up to the imposition of Governor’s rule in the state and the fear instilled in civil society in the wake of Shujaat Bukhari’s brutal murder. The CCG members included Yashwant Sinha (former finance and external affairs minister), Wajahat Habibullah (the first Chief Information Commissioner of India and former chairman of National Commission for Minorities), Air vice marshal (retired) Kapil Kak, Bharat Bhushan (journalist) and Sushobha Barve (executive director, Centre for Dialogue and Reconciliation). Most Kashmiris believe that the manner in which the BJP masterminded the fall of the Mehbooba Mufti-led coalition government had little to do with the situation in the Valley. They also think that the PDP was taken by surprise by the timing of the development – chief minister Mehbooba Mufti was holding meetings in the State Secretariat, including one with the Centre’s interlocutor Dineshwar Sharma on June 19 when her fate was being decided in Delhi. Had she known what was coming, they felt, she herself would have withdrawn support to pre-empt the BJP and gained political mileage. The local perception is that the withdrawal of support was a part of a grand strategy of the BJP with an eye on the 2019 general elections. 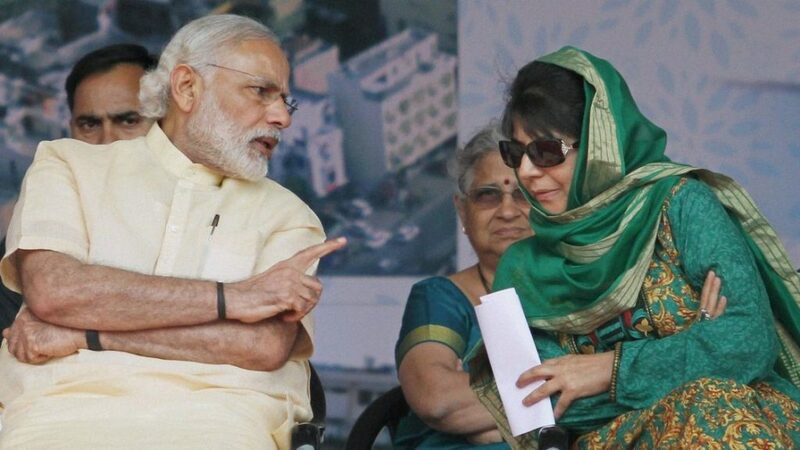 The BJP perhaps felt that by going along with the PDP, an impression was gaining ground that the party favoured secessionists and her policies were more focused on the Kashmir Valley to the detriment of Jammu and Ladakh. The common perception was that the Narendra Modi government had nothing much to showcase in terms of its achievements for the 2019 general election, there were no new fault lines emerging in Indian polity which could be exploited electorally – hence the fallback option of using Kashmir to communally polarise the electorate in the state as well as the rest of India. The Kashmiris think that the harder the slap on their faces, the better the electoral fallout in the rest of India. Most are reconciled, however, to the fact that they have been reduced to a pawn in the larger politics of the BJP. 1. There was a sense of relief in the people that the BJP-PDP alliance government had come to an end. Most believed that the alliance was doomed from the beginning as the two parties had diametrically opposite ideological and political perspectives. 2. The withdrawal of support had more to do with the BJP’s calculation of how it might be able to come back to power in Delhi in the next general election in 2019 and less with the developments in Kashmir. It was linked only marginally to J&K in as much as the BJP also needed to shore up its eroding voter base in Jammu. The party feared losing both the Parliamentary seats from the region in 2019. 3. The Jammu Hindus might not be swayed by blaming all the ills of the state on the PDP and its leader Mehbooba Mufti. In the last state assembly election, even those Hindu voters who normally did not vote for the BJP, voted for the party because they were upset with the corruption of the Congress ministers. Having voted for the BJP, however, they find that the performance of the BJP’s ministerial team was even worse. Whether fanning communal sentiment alone can turn them in favour of the BJP remains to be seen. 4. The performance of the BJP MLAs and ministers in the government was believed by many to be below par compared with that of their PDP counterparts. They seem to have had little guidance from senior BJP leaders and resentment against them was growing in Jammu. It suited the party to cover their lack of performance under a communal umbrella. 5. The security situation in the Valley was the same as it was three years ago – there was violence from both sides, there was no dialogue and the Agenda of Alliance agreed upon by the PDP and BJP had become meaningless. There was also no change in the intensity and extent of the anti-insurgency operations of the security forces. The Mehbooba Mufti government never came in the way of these operations. 6. There were no drastic developments on the ground which necessitated pulling the plug on the elected government. There were better opportunities for doing so using an increase in violence and militancy as an excuse in 2016 and 2017. Some believed that had the BJP-PDP government fallen in July 2016 protests following the death of a militant leader, Burhan Wani, then the level of radicalisation in South Kashmir might have been contained. 7. The claim that the situation in Kashmir was getting out of hand should have been an admission of failure of the both partners. However, the BJP converted that into an excuse for imposing Governor’s rule in the state. It dubbed the PDP as a party that favours separatists and held it solely ‘responsible for the deteriorating security situation in the state’. 8. To make use of the Kashmir developments in the rest of India, the BJP, with the help of some mainstream television media had stereotyped all Kashmiris as “Islamic” militants/terrorists or terrorist supporters. This would not only allow the party to harden its position on internal security but also polarise the voters on communal lines. It was expected that this would be done not only in Jammu but also in the rest of the country. 9. The threat of Islamic militancy/terror in J&K was also likely to be used to rationalise a harder position on Pakistan. This might result in increased heating of the Line of Control and the International Border in the state as well as some other military adventures. 10. Both the threat of terrorism in the Valley and Pakistan’s hand in promoting it would be used in the BJP’s campaign for the general election of 2019. 11. The Union government led by the BJP would now take a more belligerent position on the validity of Article 35 A of the Indian Constitution which was currently being adjudicated by the Supreme Court and scheduled for a hearing in August. The BJP government in Delhi might also give up on the ambiguity it had to maintain on Article 370 because of the compulsions of its alliance with the PDP in J&K. 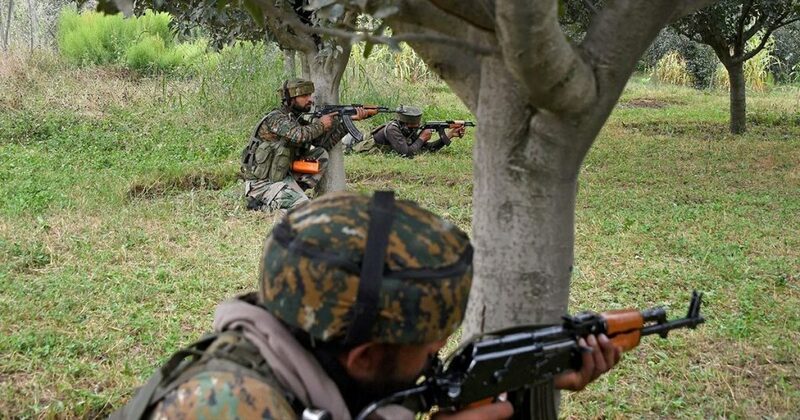 The Ramzan ceasefire or suspension of counter-insurgency operations announced by the Central government was unilateral, sudden and without any discussion with either the militants, separatist leaders or Pakistan. Being unilateral, only one stakeholder i.e. the security forces was brought on board [albeit reluctantly]. The ceasefire was announced without any preparation, had no roadmap and its objective was unclear except to convey that the security forces would not fire unless fired upon. The operations against militants continued during the month of Ramzan. In fact, more militants (24) were killed during 30-days of unilateral cease-fire than the previous one month. Apparently, the security grid in the state was unhappy with the unilateral ceasefire declaration by the Centre but had no choice but to go along with it. Most Kashmiris that the CCG met felt that there were two positive outcomes of the ceasefire – civilian killings and incidents of stone-pelting by protestors came down drastically as there were no offensive operations. And as a result, youngsters did not get in retaliatory action by the security forces. The security forces did not move out unless they had specific information about the presence of militants. This created a positive feeling among the common people. Most people in the state expected the cease-fire to be extended at least till the end of the Amarnath Yatra in end-August. No one seemed to know what prompted the government to suddenly revoke the cease-fire. The speculation was that it might have been the constant stream of bad news from Kashmir as the unilateral ceasefire had no impact on the militants. Not only did militancy continue, the recruitment to the ranks of militants increased, an army man going on leave to join his family for Eid was kidnapped and murdered and a prominent journalist assassinated in broad daylight. Local opinion speculated that under these circumstances, the extension of the cease-fire might have come at a very high cost for the BJP in the rest of the country. Besides, it was thought that the sudden unilateral announcement of the ceasefire and its abrupt revocation gave the Centre a chance to claim that it gave the militants an opportunity for moving towards peace but they failed to grasp it. This would then provide justification for continuing its hard military strategy in the state. Governor’s rule has been imposed in the state under Article 92 of the J&K Constitution. J&K is the only state of India in which Governor’s Rule can be imposed. In all other states, President’s rule is imposed under Article 356 of the Indian Constitution. 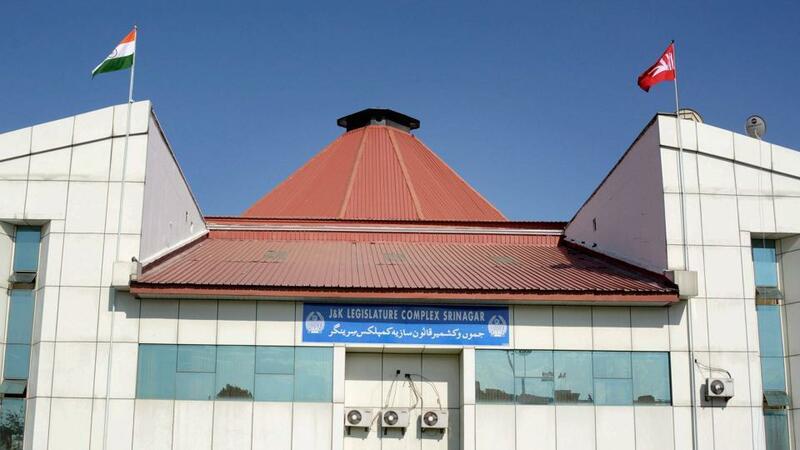 The provision in the J&K Constitution is for only six months of Governor’s rule after which either the state legislative assembly needs to be revived or fresh elections held. However, Governor’s rule can be followed by the Centre imposing President’s rule which unlike in other parts of India, does not have to be ratified within six months by the Parliament. In principle, President’s rule in J&K can be extended indefinitely without parliamentary approval. The people of Kashmir did not seem to have high expectations from the new dispensation under Governor’s rule. They thought that the Governor could now directly follow directions from Delhi without the mediation of an elected government. They also believed that the previous placatory language of need for a dialogue with all stakeholders would now be dropped and anti-militancy operations would continue in full swing. There were some who thought that the upside of Governor’s rule was that the state administration would be free from political influence and the governance in the state would improve. The downside, however, was that without political representation disconnect would be created between the people and the administration and their access to it would decrease. A major challenge for the new dispensation in Srinagar would be to ensure the safety of the Amarnath Yatra or pilgrimage, which began on June 28 and will last till August 26, ‘Rakshabandhan’. Security experts claimed that the threat perception for the Amarnath Yatra was more this year than the previous years. There was some local hope and belief that Kashmiri militants would not attack the pilgrims; that they had not done so in the past either and the real threat was from Pakistan-trained terrorists. Besides, an attack on the Amarnath Yatra would require the kind of planning which the local militants were not capable of. However, a contrary view was that, given the sense of alienation and disempowerment among the local youth who have taken up arms that they might do something desperate. In view of the security threats, the state government had designated a new route for the Amarnath Yatra bypassing those inhabited areas where there could have been a possibility of attack or stone-throwing. In the last three years there were only 18 incidents of stone-pelting at the Amarnath pilgrims. However, observers pointed out that given the sense of alienation and disempowerment among local youth and their changed mindset, spontaneous and stray stoning of the pilgrims could not be ruled out. While organised stone-pelting could in principle be controlled, it might not be easy to deal with spontaneous action. The next big challenge under Governor’s rule would be to ensure that civilian casualties were minimised. People expect that the offensive of the security forces would intensify now, leading to more incidents of stone-pelting which could provoke retaliation and therefore more civilian damage. Many political observers suggested that the ‘right’ optics for BJP’s Mission 2019 might actually require that not only the militants but their ‘overground supporters’ were also seen to be dealt with severely. The new Operation All Out was not being seen as a threat to the local militants but to the Pakistani terrorists. The local militants, it was pointed out, had little training, hardly any weapons and no capability to initiate any dramatic attack. The state assembly has not been dissolved but put under suspended animation. This might give the Governor an opportunity to revive the political process when the circumstances permitted such a development. The life of J&K assembly is upto December 2020. If the assembly is not dissolved before that date, then this would allow the various political parties in the legislative assembly to attempt to form a new government before the term of the assembly got over. This could happen through new alliances being formed – with or without breaking the existing parties. Political observers in the state believed that the Governor might test the waters for elections by first trying to hold the Panchayat elections this October and only then make up his mind whether the state was ready for fresh assembly elections. The panchayat elections were put off in February this year because of the prevailing security situation, as was the by-election for the Anantnag Lok Sabha seat in April, 2017. Although there has been widespread condemnation of the daylight murder of Shujaat Bukhari, the unforeseen event has sent shivers down the spine of Kashmiri intellectuals and social activists. It is widely believed that the forces behind the murder did not want a resolution of the Kashmir issue through dialogue which left out certain stakeholders or which did not take their interests into account. 1. It was a signal to civil society groups and social activists that their efforts towards reconciliation and peace would not be tolerated beyond a point; that they should not aspire to become a determining influence on the resolution of the Kashmir issue. 2. It was a message to all those who questioned not only violence by the state but also by the non-state actors – militants and terrorist infiltrators from across the border – that they needed to choose a side. 3. It was meant to frighten the media into not crossing the red lines drawn by the separatists and their backers. This might have a chilling effect not only on the local media but also on the representatives of the jingoistic and propagandist national media in the Valley. 4. The murder was also a message to the Hurriyat leaders to keep to the straight and narrow – especially to those who had begun saying that they were willing to examine the offer of a dialogue by the Centre. It seemed that the civil society was in retreat in the Kashmir Valley after the murder as people feared the silencing of non-partisan voices. Even journalists seemed apprehensive of talking of peace. The only silver lining of this visit was the communal harmony the group witnessed at the Kheer Bhawani Mela with Kashmiri Pundits, Hindus from outside the state, Sikhs and even Muslims jostling with each other in the temple complex. Kashmiri Pundits who had come in 60 buses organised by the state government claimed that no one had thrown [s]tones at them or impeded their movement. They by and large talked of fraternal and friendly treatment along the way as well as once they reached Srinagar and Ganderbal. However, the overall political and security situation in the Kashmir Valley did not show any indication of improving. While the general public was shedding no tears after the collapse of the BJP-PDP alliance, it was also not enthused by the imposition of Governor’s rule. There was a sense of dejection and expectation of worse to come as the discourse on Kashmir seemed to be becoming more aggressive by the day. No one expected the Modi government to take a peace initiative. People were already looking beyond the next general election due in April-May 2019 and hoping for a change in Delhi’s policies after that. Until then the people believed that harsh security measures or “danda-raj” as they called it, was likely to continue as the dominant doctrine, irrespective of who implemented it. The change of guard in Srinagar would make no difference. The political space in the Valley has shrunk and along with it the prospect of a dialogue for peace has also become distant. The most disturbing aspect of the present situation was that the Kashmiri youth was under nobody’s control. Such was the sense of disempowerment and helplessness among the youngsters that not even parental control seemed to work on those intent on joining the ranks of militants. There was glamorisation of violence among them. The youth read about the lynching of members of the minority community in the rest of India and this probably further fuelled their antipathy towards the Indian state. The overall message that seemed to have gone around was that Delhi either did not recognise the Kashmir issue as political or that even if it did, it did not want to do anything about it. This perception might become very difficult for Indian democracy to deal with, even if there were a change of guard in Delhi in May 2019.